You’ve probably seen legendary artist, illustrator and author Christoph Niemann’s work on the covers of The New Yorker, Newsweek andthe New York Times Magazine. Every Sunday, the visual storyteller sets aside to time to play with different visual mediums, which he shares on his Instagram. Examples of his work include combining his illustrations with everyday objects and photographs to create optical illusions. Of course, you can also peruse a more extensive collection of Neiman’s work on his Tumblr. 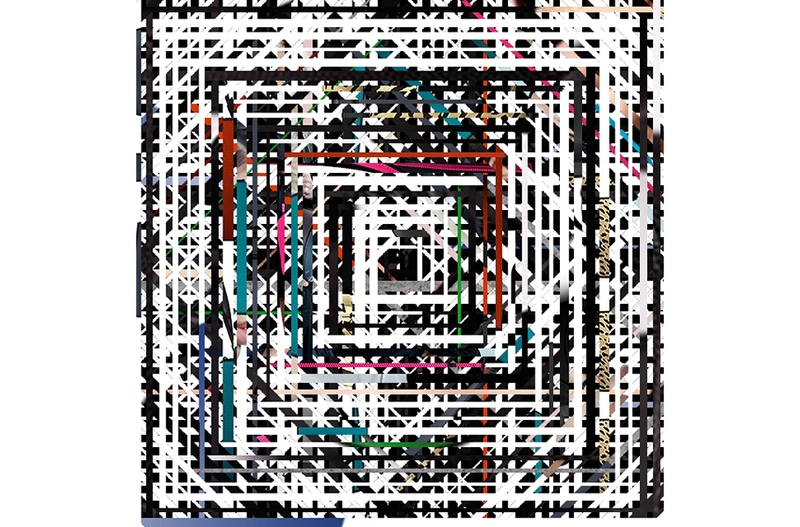 Design agency HUSH developed Weevmee, an app that takes your Instagram photos and weaves them into a one-of-a-kind piece of abstract collage art. Different variables, like the number of photos a user has and the number of likes a photo has, change the look and complexity and density of the image. The app’s software takes your 2014 Insta-photos and crops them into threads before using an algorithm that randomly weaves it all together. HUSH created this app to let users create something that “feels artistic enough to grab our attention, but contains enough clarity that it feels uncannily familiar.” It’s your year’s worth of memories transformed into a single, personalized image. The developers plan to expand the software that will allow users to create their image with criteria like geolocation tags or custom start/end timestamps. 1. Happy Labor Day, everyone! Whether or not you have the day off today, we hope your holiday weekend looked a lot like Beyoncé in her “Drunk In Love” music video. 1. Hey there, Milan Fashion Week! We were impressed with Fausto Puglisi’s collection of expertly tailored, color-blocked pieces. Be amazed by the attention to geometry and fantastic mix of colors. 2. PSFK weighs in on why crowd-sourced platforms like Kickstarter and Indiegogo lead to innovation. 1. Opera meets “Tron” at the Moncler Grenoble FW14 presentation, and the result is one of the most fascinating New York Fashion Week shows we’ve seen. 1. Thanks to Christy Turlington, models doing yoga is as ubiquitous as a Celine handbag. But we’re betting you haven’t seen a yoga tutorial like this from i-D Magazine. Let Lily McZenamy, a model clad in the chicest looks from Repossi, Balenciaga and Miu Miu show you how to do an utkatasana. Namaste. 1. 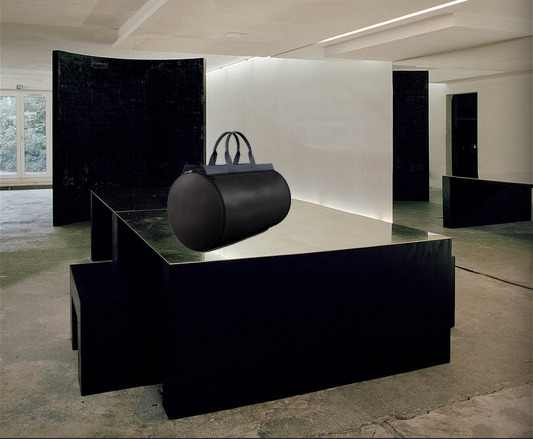 Word of the Week: “glunge.” The Wall Street Journal invades Rick Owens’ Minimalist, Parisian Man Cave. 1. Move over Vine. 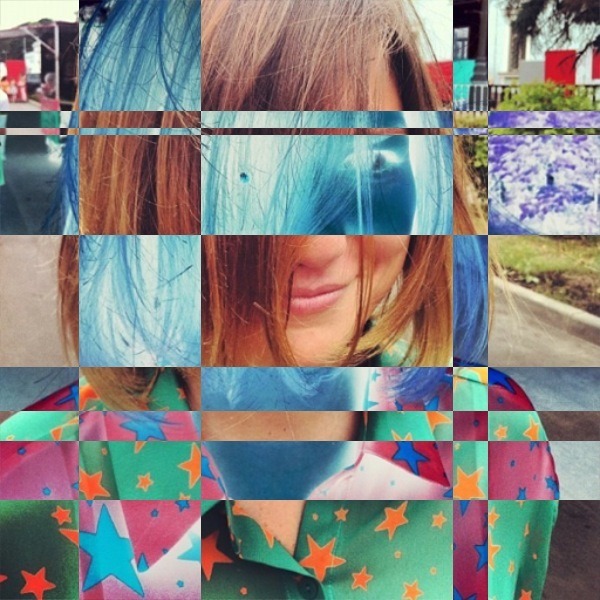 Glitche is an iOS App that turns your photos into glitchy, distorted digital art. 2. Prada’s “Real Fantasies” S/S 2013 film experiments with animated collage art.